Find out more about this painful jaw condition and how it can be treated. Are you concerned that your jaw pain could be the result of a TMJ disorder? Our Woodbridge, VA dentist, Dr. Sowmya Punaji, is here to provide you with answers to questions that you might have about your condition. TMJ stands for temporomandibular joint, the joint that connects your lower jaw to the bone of the skull. This joint makes it easy to speak, chew or even yawn. Of course, if you have a TMJ disorder, then there are problems with the joint, the jaw itself and/or the surrounding muscles. Most of the time it isn’t possible to pinpoint the direct cause of a TMJ disorder but sometimes injuries to the jaw or the surrounding muscles can lead to this problem. 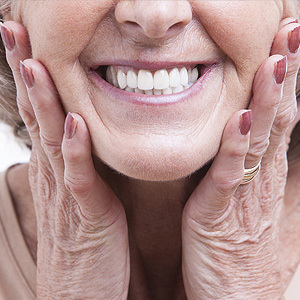 Conditions such as osteoarthritis and rheumatoid arthritis can also cause TMJ disorders. 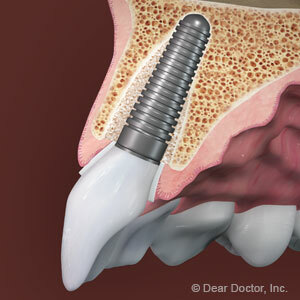 Serious grinding or teeth clenching can also place too much pressure on this joint and lead to issues. If you are experiencing these symptoms then it’s time to visit our Woodbridge general dentist right away for an evaluation. Sometimes a TMJ disorder will go away on its own and sometimes patients just need some conservative lifestyle changes and care in order to reduce symptoms. Icing the joint, taking over-the-counter pain relievers and doing daily jaw exercises can help improve symptoms. Finding ways to manage your stress can also help take pressure of these joints, particularly if you grind or clench your teeth. 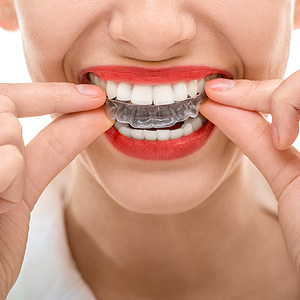 Sometimes we will recommend wearing an oral splint while you sleep to protect your teeth from wear and tear and to take pressure off the joint if you grind your teeth at night. More serious treatment options include corticosteroid injections, arthrocentesis and arthroscopic surgery. Legacy Dental Care in Woodbridge, VA prides itself on providing the very best in dental care. If you are dealing with jaw pain and are looking for effective care, then give us a call today.